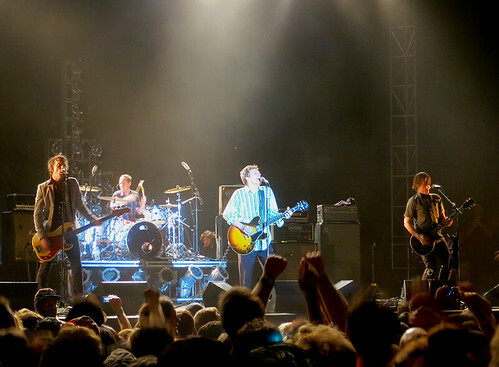 I’ve got plenty to say about Sunday’s sold out, yes-it-really-happened Replacements reunion up in Toronto, and about my whole incredible Riot Fest weekend trip, but the words are still bouncing around my brain and my notepad. I’ve overdosed on reviews, photos, recaps, and YouTube videos in the days since the show, so I’m going to let it all sink in a bit more before I share a proper write-up of my own. Until then, though, here’s my recording of the ‘Mats first set in 22 years. My audio is a very different beast from the two I’ve seen/heard shared so far (MFS / Scudder). What it definitely lacks in depth, it may make up in clarity. My not-so-pro microphone grabs the high-end, but not a ton of low, so while you can hear the kick drum and Tommy’s playing, it’s not quite as woofy. I’ll let your ears be the judge, though. Live sets recorded with a Sony ECM-719 mic into a Sony MZ-RH10 minidisc, converted to .wav, edited using Soundforge, and made available as 256kbps MP3s. Stream any and all ‘Nac-hosted Mp3s at the Hype Machine. Fantastic share! So good to hear them putting out the spirit of long ago. Rock bands are starting to feel like quaint antiquities, but this feels so needed and relevant today. THanks for this. I was there too! Hope you booed along with me at the HABS uniform! LOL. Amazing show! 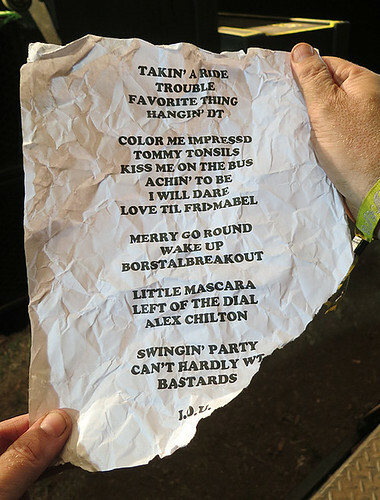 Holy crap that is quite the set list there. Must have been an amazing show.